DNA samples from the greater prairie chicken have been instrumental. A complex and groundbreaking project that aims to bring back the heath hen is advancing “at lightning speed,” scientists said this week. Back when it still boomed, the heath hen in all its glory. The rapid speed at which the work has advanced, the strength of the team working on the project, “and the technological frontiers I see ahead of us may mean that this is going to be a much more important project,” he said. 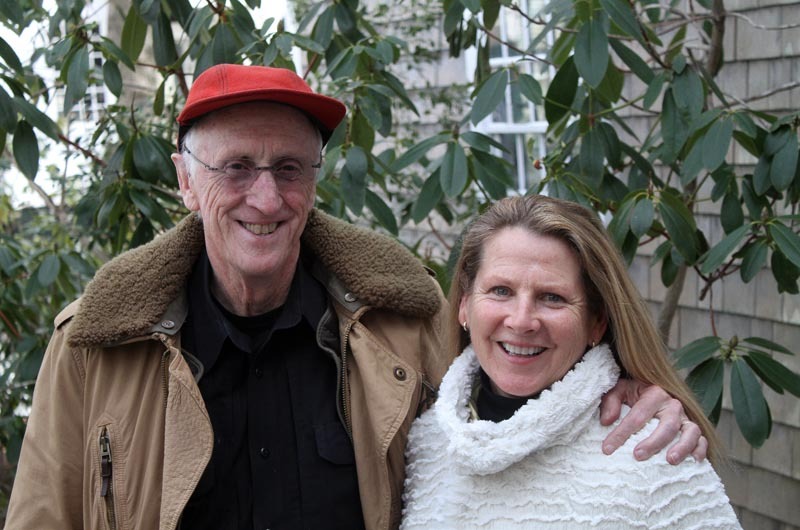 About a year ago, Ryan Phelan and Stewart Brand visited the Vineyard with what they called a big idea: bringing the heath hen back from extinction. Ms. Phelan and Mr. Brand are the co-founders of Revive & Restore, an organization that provides support for projects using genetic technology to revive extinct or nearly-extinct species. Their list of candidates for de-extinction includes the woolly mammoth, the passenger pigeon and the heath hen. The heath hen is what brought Mr. Brand and Ms. Phelan to the Vineyard. The bird, about the size of a chicken and whose call was said to sound “like the blowing in the neck of a bottle,” was once abundant throughout the eastern United States. By the late 1800s the birds existed only on Martha’s Vineyard. The Vineyard population, protected and closely watched, slowly dwindled, depleted by inbreeding, hunting, predators and forest fires. The last heath hen, a male named Booming Ben, was last seen in 1932. Soon after, heath hens were declared extinct. With rapid advances in genomic engineering and genome sequencing, Revive & Restore aims to continue a story many thought was over. Genetic technology, they say, allows for accurate and complete genomes to be constructed for the heath hen and closely related species. Using state-of the-art science, a related species could potentially be genetically manipulated to lay heath hen eggs. Ms. Phelan and Mr. Brand hosted a panel discussion about the idea last July on the Vineyard to measure community interest. Stemming from that event, Ms. Phelan said, a group of five founding donors with Vineyard connections came forward to donate the $50,000 needed for the first phase of the project, a genomic study of the heath hen and related species. The donors are Peter and Gwen Norton, Warren Adams, the G. Kenneth Baum and Ann Baum Philanthropic Fund, the Betsy and Jesse Fink Foundation, and Brad Palmer. A volunteer team of 16 scientists, ornithologists and ecologists from around the country are on board and well into the genetic work that comprises the first stage of the project. 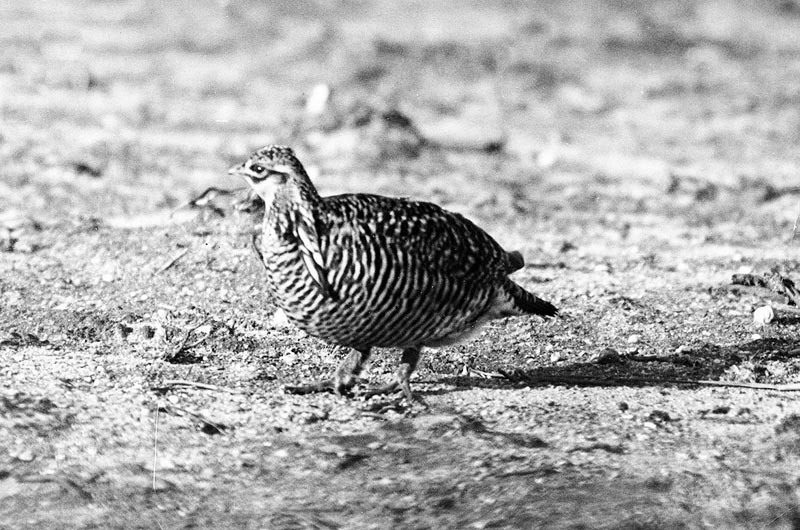 The goal is to find out if the heath hen was a distinct species, and what species is its closest relative. The pace of the project has been quick. “If we are successful in being on time it’ll probably be the fastest genome study on record,” said Jeff Johnson, an associate professor at the University of North Texas who is serving as project coordinator for the genomic study. Over the Christmas holidays, John Toepfer, a biologist who “lives and breathes greater prairie chicken,” Mr. Johnson said, acquired a female greater prairie chicken in Nebraska. Mr. Johnson said there is a hunting season and Mr. Johnson had a scientific permit that allowed him to kill the bird. Mr. Toepfer immediately took tissue samples from the greater prairie chicken, froze them and shipped them on dry ice to Dovetail Genomics, a new company based in Santa Cruz, Calif. Dovetail uses new methodology to sequence large fragments of DNA, Mr. Johnson said, allowing them to create an accurate greater prairie chicken genome. Other labs are also at work sequencing the genomes of all the birds in the genus Tympanuchus, including lesser prairie chickens, sharp tailed grouse, and Attwater’s prairie chicken. “We don’t know where the heath hen falls out evolutionarily,” Mr. Johnson said. The genomes from all the other species will confirm if the greater prairie chicken is the closest living heath hen relative. 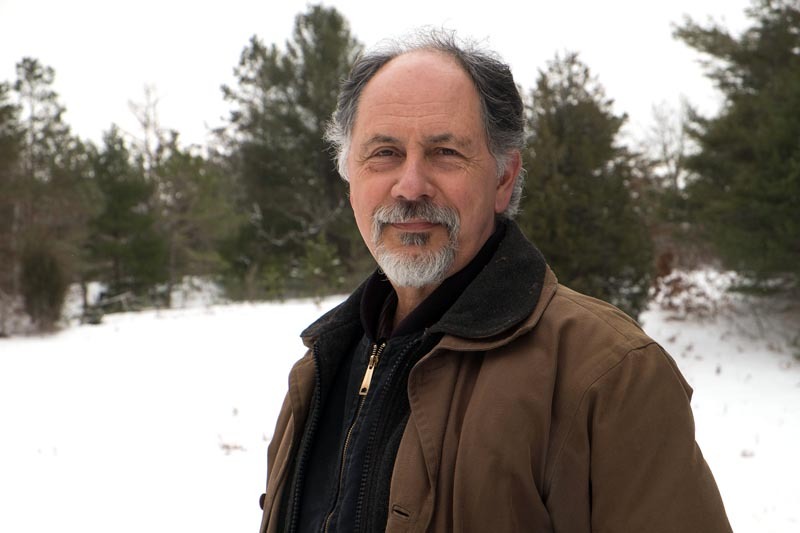 “Even though the greater prairie chicken and the heath hen look a lot alike, we need to make sure that’s the case at the genomic level,” Mr. Johnson said. The greater prairie chicken’s genome will serve as what’s called a scaffold, a backbone against which the heath hen’s genome can be built. Building the heath hen’s genome required so-called ancient DNA pulled from heath hen museum specimens at the Academy of Natural Sciences of Drexel University in Philadelphia, the Royal Ontario Museum in Toronto, and the Field Museum in Chicago. The museums were asked to sample toe pad tissues from the preserved heath hens; the samples were then placed in a container or tube and shipped to a California lab where they were prepared for sequencing. The DNA is now bound for yet another lab, this one in Texas, where the millions of DNA fragments will be sequenced on computer software. Old DNA is fragmented, which is why the greater prairie chicken genome is important — it provides the framework for what might be missing. Mr. Johnson said the project is on schedule for the genomic work to be done by the end of spring or early summer. “At least we can have some answers that we can talk about,” he said. No matter the outcome, scientists said, the work could help other birds in the heath hen’s genus. Last year, the U.S. Fish and Wildlife Service listed the lesser prairie chicken as a threatened species. 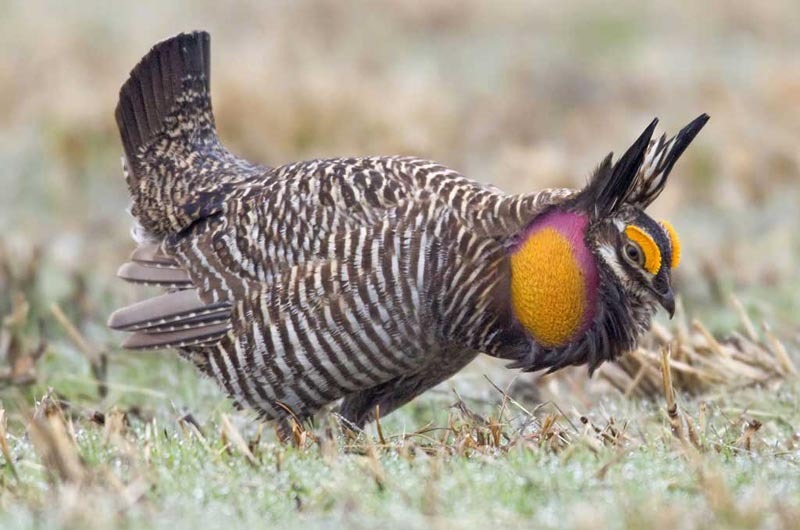 The Attwater’s prairie chicken is a critically endangered subspecies found only in Texas; there are fewer than 200 birds and they exist only in a captive breeding colony. Knowing more about those species could be used for their conservation. Following the genetic work, one of the next steps will be a feasibility plan completed by Mr. Chase. While there will be complex work on how to bring the heath hen back into being, Mr. Chase will look at a broad list of scientific, logistical and ecological issues: how many birds are needed for a viable population, where they would be held, how much the project would cost, the personnel and knowledge required to work on the project, and where the birds could conceivably be released. “You obviously don’t want to go get birds and plop them in the state forest,” Mr. Chase said. It is also important to get stakeholders involved, he said, from stage agencies to bioethicists. It is far from certain that even if the heath hen does come back, it will come back to the Vineyard. Mr. Chase said it is unclear if the Vineyard has the right habitat in the right quantity to support a population of the booming, stomping birds. It’s also not clear what kind of habitat the heath hen actually preferred — by the time the birds were seriously studied, the native habitat had been disrupted for hundreds of years. Mr. Chase said if a viable population was created, it would need to be radio tagged and followed to learn more about it. He said there is not widespread enthusiasm for the project on the Island. Of those who care, he said, some are positively intrigued and others are sharply against. The strongest third, he said, are people who are indifferent to the idea. In interviews this summer, some Vineyard ecologists expressed ethical and logistical concerns about reintroducing an extinct species and drawing attention away from other conservation efforts, while others praised the idea. Mr. Chase reiterated the larger benefits of the work. “This isn’t just a heath hen thing anymore. This is a movement now,” he said, referencing work being done in Europe and elsewhere to reintroduce species. The Vineyard became a part of the heath hen’s story when Booming Ben died and the species went extinct. With the burgeoning effort to use genetic technology, fueled in part by Vineyarders and being used to revive what’s become known as a Vineyard bird, Mr. Chase sees a continuity. Playing God is a very dangerous! The bird went extinct for a reason! You are walking a fine line! The reason appears to be that humans killed so many of them that the remainder could no longer survive. Yes humans did hunt it for food back in the 1800's to feed their families. We had a growing clutch in the State Forrest but fire, disease, animal predators and lost of breeding habitat, killed off the population. The feral cats on the mainland also feasted on it. It went extinct because humans hunted it to death and destroyed its habitat! Let's bring back the dinosaurs. How sad that the money and effort spent in the heath hen resurrection project is not being being used to help preserve currently endangered endangered species. "If you believe it is possible to destroy, believe it is possible to repair." Rabbi Nachman of Bratslav. Wise comment, Pam. But then, assuming you are the person I knew years ago in the Berkshires, you were also wise about nature protection. We have seen many populations of prairie chickens decline or become extirpated. Despite 50 years of efforts on their behalf birds in Indiana, Illinois, coastal Texas and elsewhere are essentially gone as functional populations. Those in Wisconsin are in big trouble. This speaks to the limits of both our scientific knowledge and our political will. Reintroduction efforts often get more attention and funding than saving of remnant populations. And often such efforts fail. And apparently ticks are their favorite food. :-) Thus, we need them. Guinea Hens like ticks too!! Neither are pheasants native and they are one of reasons man native species are in trouble much funding (millions) used to establish and maintain them to the detriment of native wildlife. Be great if this project drives a careful consideration of what sort of a wild Martha's Vineyard (and for that matter, Eastern US) is even possible to re-achieve, and the full suite of species and habitats for which extinction might be averted, not just reversed, sort of. Conducting conservation at a landscape scale instead of piecemeal by species or habitat, could help to produce a unified environmental vision and make the whole affair less expensive, less invasive, and more likely to succeed. This project is a little ridiculous. Introducing something that was losing its habitat when it died off. To a time much later and almost no habitat left. The first complaint will be the skunks. Then the raccoons, Then the feral cats. There are much more worthwhile projects to undertake. Please reconsider this folly. And thats what it is. I think "losing its habitat when it was killed off" might be a more accurate description. Isn't Tom Chase the superintendant of the Nature conservatory on the island? Why was this left out? To Very Annoyed, "Playing God" is what we did by wiping out the Heath Hen in the first place. The heath hen was declining in numbers not by hunting but the feral cat population liked eating to. The population in the State Forest was growing. A fire wiped out its breeding grounds then disease followed by a harsh winter and predators (not man) killed off the species. In essence, the food chain handled the problem not man. Man was trying to save it but Mother Nature and evolution decided to make it extinct. If there is only one left I want it mounted and on my wall! I say go for it! We can use a bird who blows into wine bottles to help find a mate and to ward off predators, and which is good eating in a pinch. But, the word de-extinction seems lumpy and cold. The process of re-engineering DNA to bring back an extinct species needs a majestic, romantic and poetic ring to it, and one for which Vineyarders can be proud. Once the Heath Hen is reincarnated and wine bottle necks can be heard being blown by newly born birds, I propose that the word de-extinction be more fondly termed "Heathering". Remember, you read it here first, in the Vineyard Gazette.